In 1990 he established his own firm, Robert Cohen Architect. His projects are wide ranging, from urban design and master plans for city sites; to residential, commercial and institutional design; to interior and furniture design patents and prototypes. Robert Cohen Architect is currently working on unique residential projects, both new and renovation and addition projects in Southern Connecticut. For ten years Robert Cohen was vice president of the Bay Improvement Group, a nonprofit waterfront development corporation. In 1992 he was named Honorary Fellow of the Municipal Art Society of New York. In 1998 the Arts & Business Council honored him for his work with an emerging dance company with its Volunteer for the Arts Award. He also received an honorable mention at the Westport Art Center inaugural exhibition, Fresh stART. He is an Interior Design professor at the Fashion Institute of Technology (FIT) , and previously taught at the Bridgeport University, Shintaro Akatsu School of Design. He has also served as guest critic at the New York School of Interior Design, and FIT interior design programs. 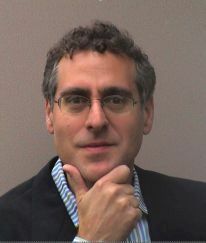 Robert Cohen is a LEED accredited professional with specialty credentials in Building Design and Construction (LEED AP BD+C) He is conversant in the Leadership in Energy and Environmental Design green building system in which he implements sustainable design to maximize resources and energy efficiency while minimizing environmental impact. Robert is a Historical Architect. He has met the Secretary of the Interior's Professional Qualifications Standards for 36 CFR Part 61. He is a member of the AIA Connecticut chapter, National Council of Architectural Registration Boards, the Green Building Certification Institute, and the Connecticut Green Building Council. Robert Cohen has served on the Westport Next Workforce Senior Housing Subcommittee, and arts committee for the Lockwood Mathews Mansion Museum and has led mid-century modern house tours for the New Canaan Historical Society and The Glass House study tour. Recently he participated in the Westport Historical Society invited exhibition “06880+50: Visions of Westport in Fifty Years" and assisted with the Blau Gardens participation in the open days program of the Garden Conservancy and in the Hidden Garden Tour for the Westport Historical Society. He is raising his family in Westport, CT.